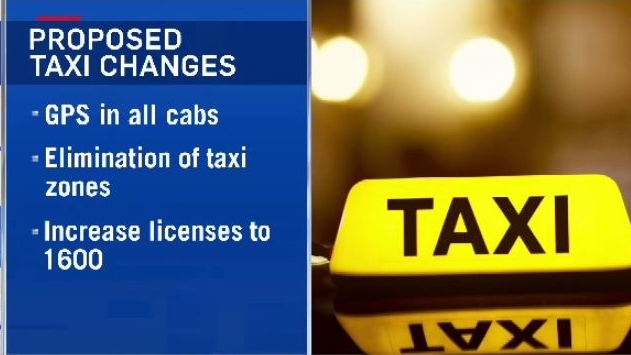 A new report is proposing sweeping changes to the taxi industry in Halifax. The plan follows an extensive review of cab services in the region's largest city, including a survey that revealed widespread dissatisfaction with the industry. However, some of the proposed changes aren't going over very well with some. The gallery was packed for a Tuesday morning meeting of Halifax Regional Council’s transportation standing committee. Among the crowd was a small army of cab drivers and that’s no surprise, given the tabling of a long awaited report on the industry, which factored in results from a recent online survey. Haligonians, it seems, didn't hold back. The solution, according to city staff, is a slew of recommendations including GPS technology in all cabs, the elimination of so-called taxi-zones, increasing the number of licences to 1,600 from a thousand, and taking a hard look at ride-sharing services, which most consider inevitable. “Has it occurred to anybody that that solution may actually be worse than what we have now?” Todd MacDonald said. MacDonald is part of a citizen's group that wants ride sharing up and running by the time the tourists come this summer. More study, he says, is a waste of time. “What this appears to me is that they're trying to redesign the phone book when the rest of the world is using the internet,” MacDonald said. Cabbies, too, have insisted ride-sharing isn't necessary in Halifax, and adding hundreds of new licences will only cut the pie smaller for drivers who are already run off their feet. “We wouldn't drive 75, 80 hours a week if we were having an easy go of it,” said Dave Buffett, president of the Halifax Taxi Association. In the end, the report moved past committee, but not before an extra hour-and-a-half of input from councillors and a fair number of interested observers in the gallery. It would be fair to expect plenty more comment as regional council tackles the issue. 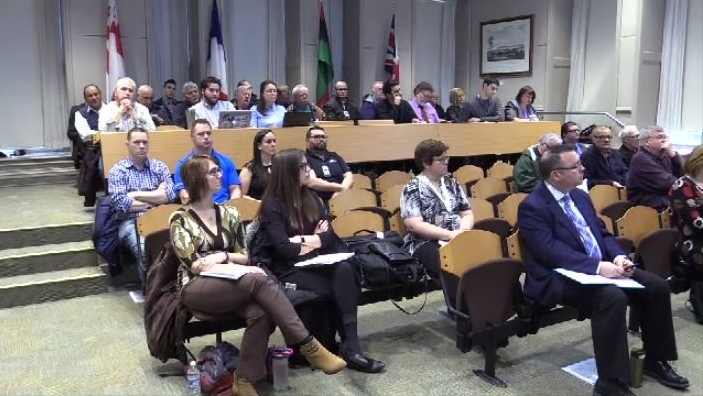 There was a nearly full gallery for Tuesday morning's meeting of Halifax's transportation standing committee, which voted to move a set of sweeping recommendations on to the full council. There are sweeping recommendations in a report from Halifax Regional Council's transportation standing committee.